People who take Fiorinal may develop a Fiorinal addiction. A Fiorinal addiction can occur if you are on the medication Fiorinal. Learn more about how this drug works, and how you can overcome the addiction. Fiorinal is a pain reliever that is usually used to treat tension headaches, but may also be prescribed as treatment for other afflictions. The ingredients contained within Fiorinal include aspirin, Butalbital, and caffeine. Aspirin is a pain reliever, as well as an anti-inflammatory drug. Caffeine, which is a common drug in medications used to treat headaches, is an active ingredient because it is thought to constrict dilated blood vessels. It is thought that the dilation of vessels contributes to tension headaches. Butalbital is the addictive ingredient in Fiorinal, and is in a class of barbiturates designed to relax the central nervous system. Barbiturates are sometimes called sedative hypnotics and tend to induce sleep and reduce anxiety. Some Fiorinal also contains Codeine, which can offer added relief to patients who suffer from serious migraine and tension headaches. Unfortunately, the inclusion of Codeine increases the risk of developing an addiction while on the medication. Because two of the main ingredients in Fiorinal-caffeine and Butalbital-are addictive on their own, people who take Fiorinal may develop problems with addiction. 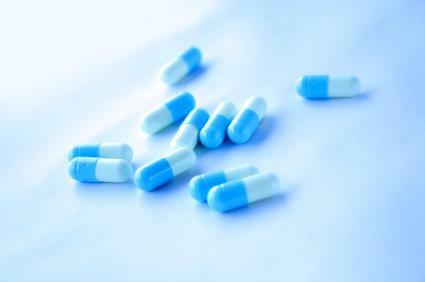 To help prevent a Fiorinal addiction, you should only take the amount of Fiorinal prescribed to you by your doctor. If this amount is not treating your headaches or doing anything for the pain, you should speak with your doctor immediately. The doctor may decide to change your dosage or take you off of the drug and prescribe something that would be more suitable. It should be noted that Fiorinal has worked extraordinarily well for many patients. While the risk of addiction does exist, only 10 percent of the patients who take the prescribed amount of Fiorinal find that the drug causes a feeling of euphoria--which can be a main trigger for addiction. In other words, when used as directed, the risk of developing an addiction to Fiorinal is relatively low. However, similar drugs have been banned in certain countries like Germany. The use of analgesics that contains barbiturates such as Butalbital is very controversial because of the potential for abuse. Increased tolerance: If you feel the drug is not working as effectively as before, it may indicate that you have built up a tolerance. This tolerance could develop over a matter of days, weeks, or months, depending on the amount of medication you take and your body's chemical make-up. Behavioral changes: If not taking the drug causes changes in your behavior or mood swings, an addiction may be developing. Compulsion: If you have a compulsion to take more of the drug or to take it when it is not truly needed, an addiction may be present. If you think you may have developed an addiction, you should speak with your doctor immediately. Whatever you do, don't change your dosage of Fiorinal or stop using the drug. Your doctor will be able to advise you on how the addiction should be handled.If you are interested in seeking additional help in order to recover from your drug addiction, you may want to consider addiction counseling. You can also seek support through a group like Narcotics Anonymous. An addiction to Fiorinal is treatable. It is possible to not abuse the medication and still treat your headaches. The important thing is that you do not confront the addiction alone. Getting the help you need is the first step towards recovery. If you are interesting in learning more about Fiorinal and addiction, you can speak with your medicating physician or pharmacist. You can also do a general search on the Internet using terms like "Fiorinal" and "Fiorinal Addiction".